Jan, a.k.a. 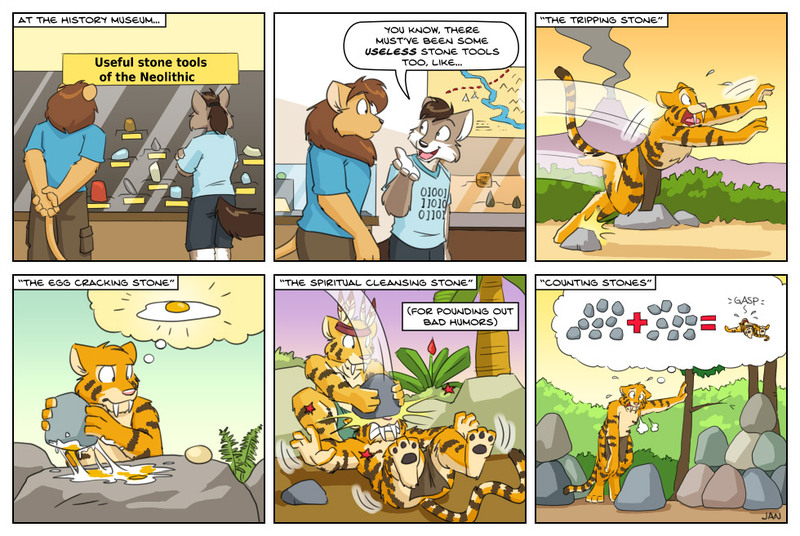 TigerKnight, creates fluffy feel-good (but still witty and intelligent) comics that should appeal to any fans of Suburban Jungle or Class Menagerie. Kinda like if XKCD were drawn by Carl Barks. Not gonna lie, I’m a sucker for a badass lion with a sword. The artist’s note reads “(C)Summoner Master Trading Card”.